Help save the world's largest freshwater invertebrate by drinking beer! Moo Brew has partnered with The Wilderness Society to raise money to help protect the endangered Tasmanian giant freshwater lobster. In the grand scheme of things, Tasmania isn't that far from the mainland. Yet the Bass Strait has proven a challenging hurdle for most of the state's small brewers. Change could be at hand, however, as Will Ziebell discovers. We've written plenty about the latest goings on in the Australian hop industry. But what of the past? In his first article for The Crafty Pint, beer loving historian Will Ziebell delves into the earliest days of hop growing in Tasmania's Derwent Valley. Former Moo Brew head brewer turned Australian hop guru Owen Johnston has returned to brewing. Hop Trial is his way of trying to educate people about the much-loved ingredient via beer. Ruth Dawkins met him to find out more. We kick off our end of year best of roundups in Tasmania. A panel of beer gurus gathered at Saint John Craft Beer to chew the fat and come up with their top 10 from all the new releases in the state in 2015. 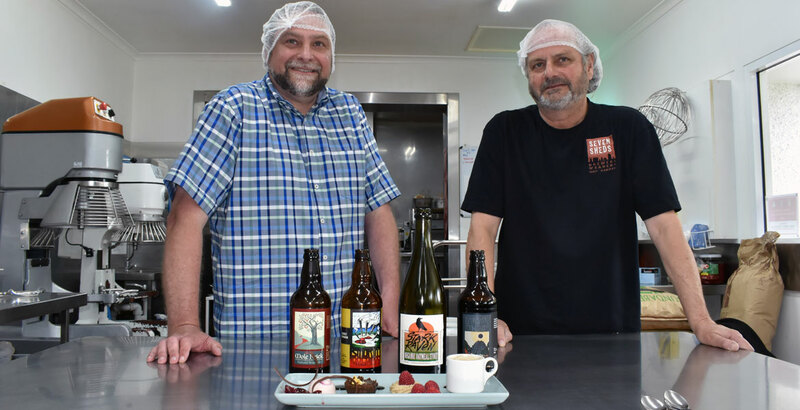 Tasmania's highest profile microbrewery has been celebrating its tenth birthday with a "Month of Moo" celebrations across the state. It enters its 11th year with plans to launch its beers in cans and sights set overseas, as Ruth Dawkins discovered.